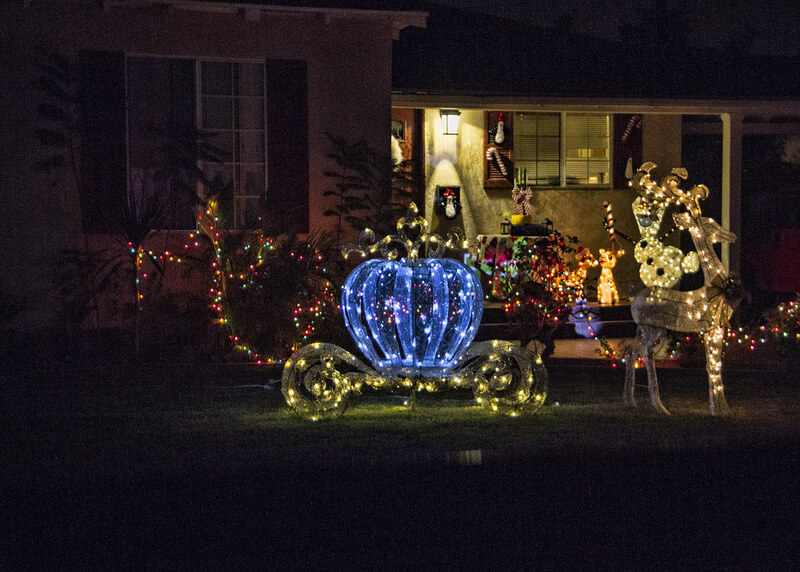 Downey Daily Photos: A sleigh or a carriage? 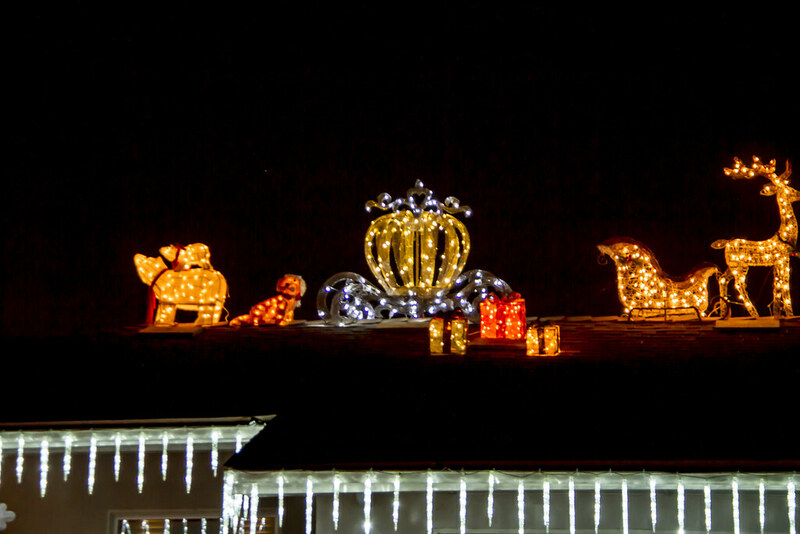 I love looking at Christmas lights and outdoor decorations. I have been finding some new trends this year and this seems to be one of them...is this an ultimately elegant Santa sleigh? It sure seems more obvious on this rooftop. "When you stop believing in Santa Claus, you get underwear."